Many of our friends are in the process of selling and buying houses, and moving to new homes. We’re holding them in our hearts and wishing them the most joyful time in their new ‘Home Sweet Home’. So, it’s natural that my tapestry diary would be about home sweet home. I had an ‘aha’ moment when it struck me that using the ‘Home Sweet Home’ tapestry diary piece as the front cover of a needle book would be a fun thing to do. What’s a needle book? It’s a way of storing and carrying your craft and sewing needles so they don’t get lost in a project bag or box or disappear inside a pincushion. 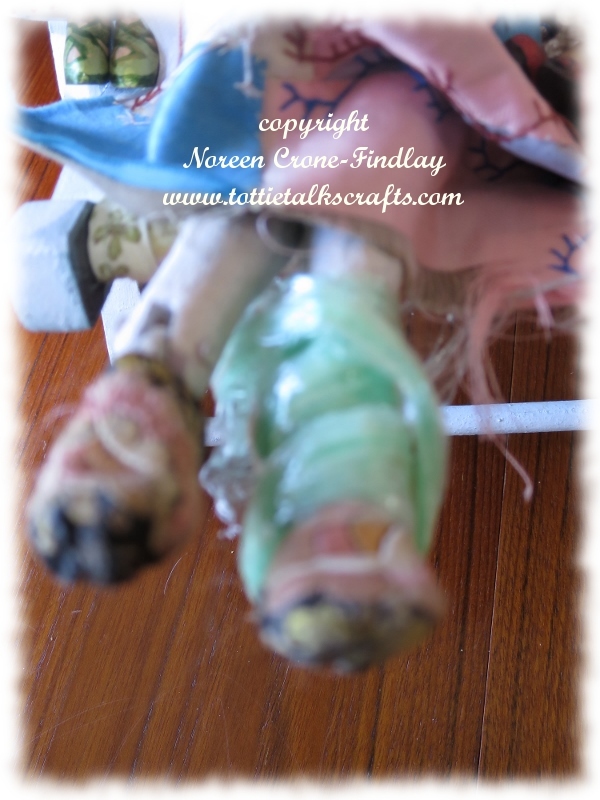 so, I made a video on how to make the Thumbelina Needle book. 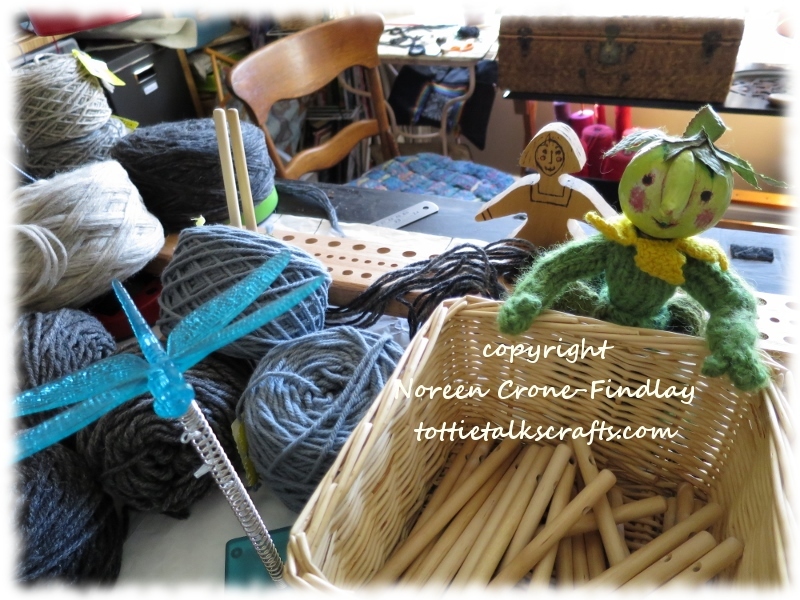 By the way, you don’t have to weave a little tapestry for the cover of the needle book…. plain is fine, too! 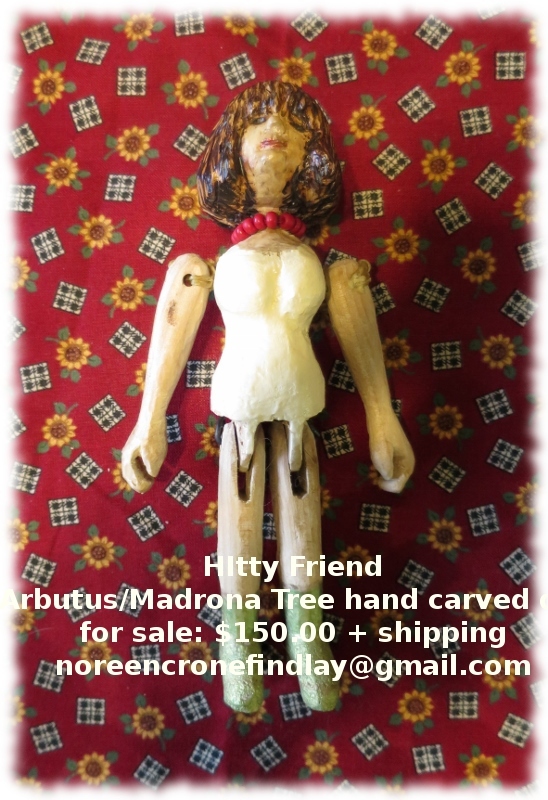 I am selling two of my hand carved ‘Story Door’ dolls. They are each 6 inches tall. They are fully articulated and stand independently without doll stands, although they are known to play dominoes with other dolls and all fall down without giving notice. 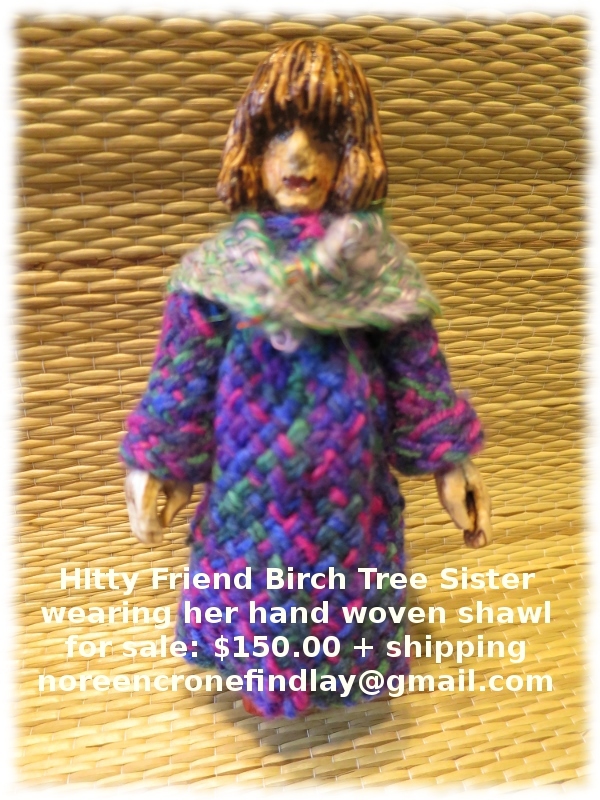 Each of them comes with her hand woven dress and a hand woven shawl. 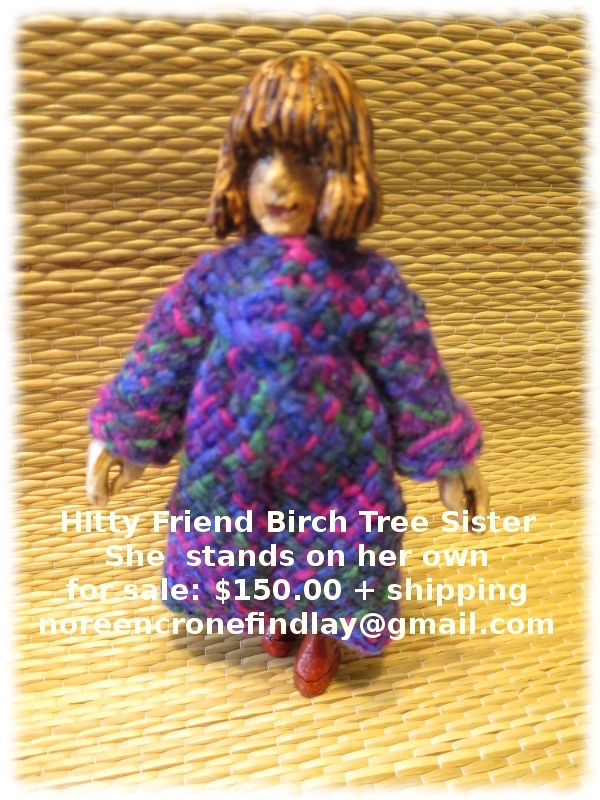 They are $150.00 each plus postage. Her head is tilted up so when she looks up at you quite winsomely. If you would like to adopt either of these Story Door Dolls, hand carved by me, with their handwoven (also by me) please drop me a note. 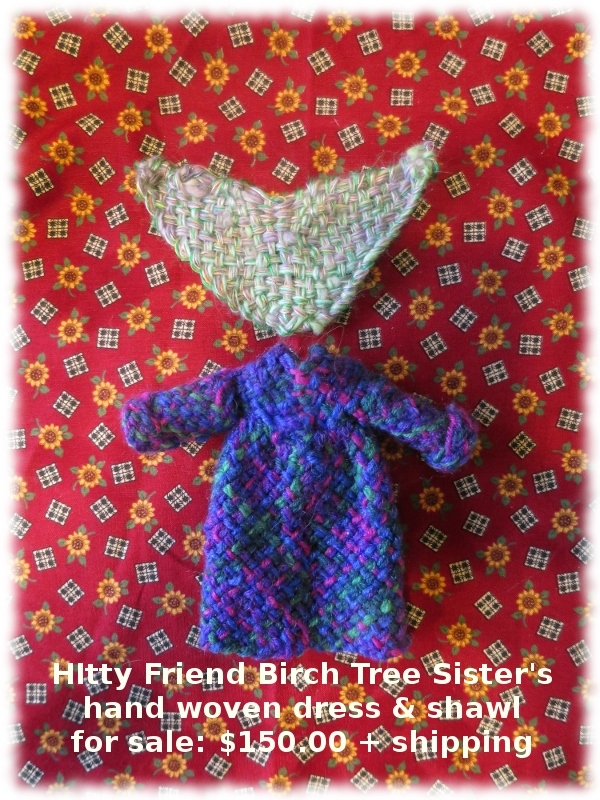 for Itty Bitty Hitty to come home again. 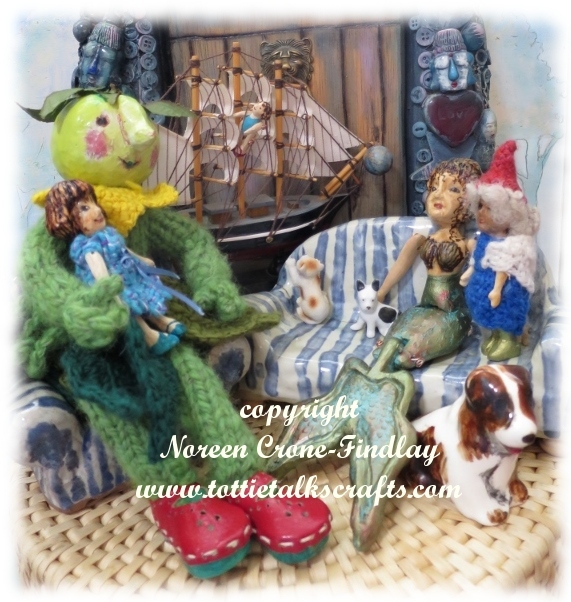 She was sure that Tottie Tomato would find Itty and send that pesky Tall Ship on it’s way. Coco heard a sound coming from the other side of the Story Door. Coco fell over in shock! Itty explained to Coco that everything was just fine- more than fine, really! 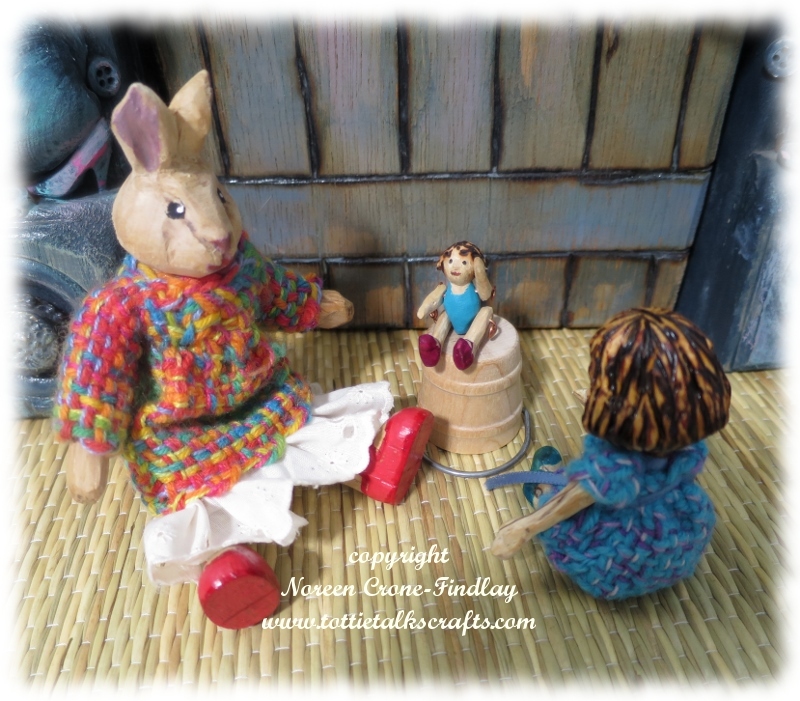 Lettie Bunny came to her rescue! 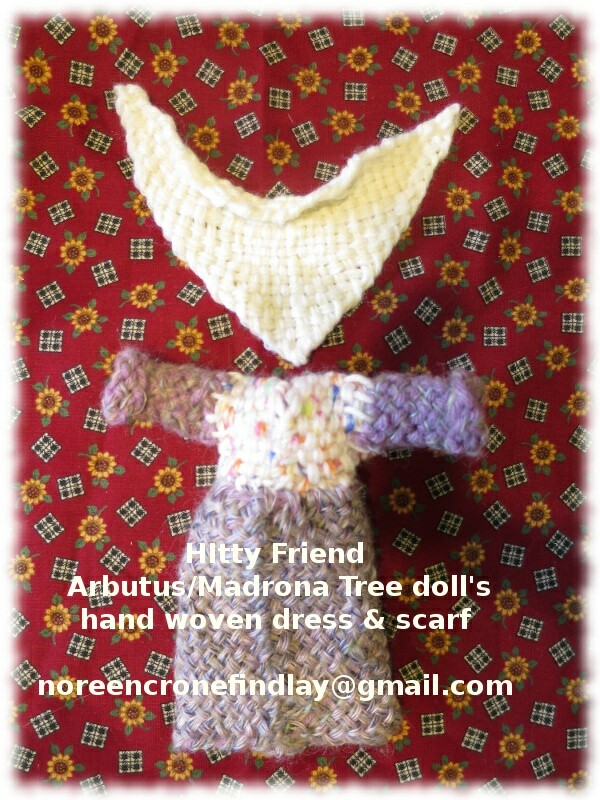 Miranda Mermaid was cold, so was very pleased to receive a new shawl woven just for her. 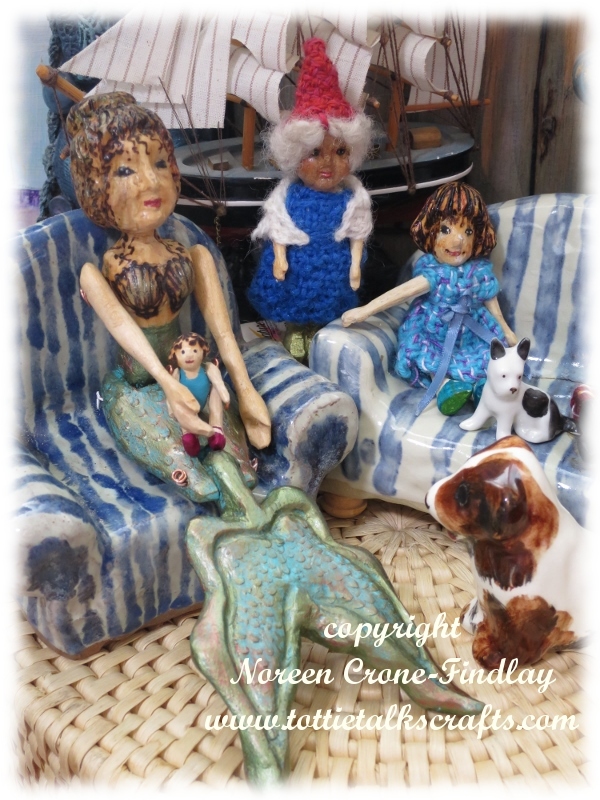 Her friends were all so busy admiring it…. 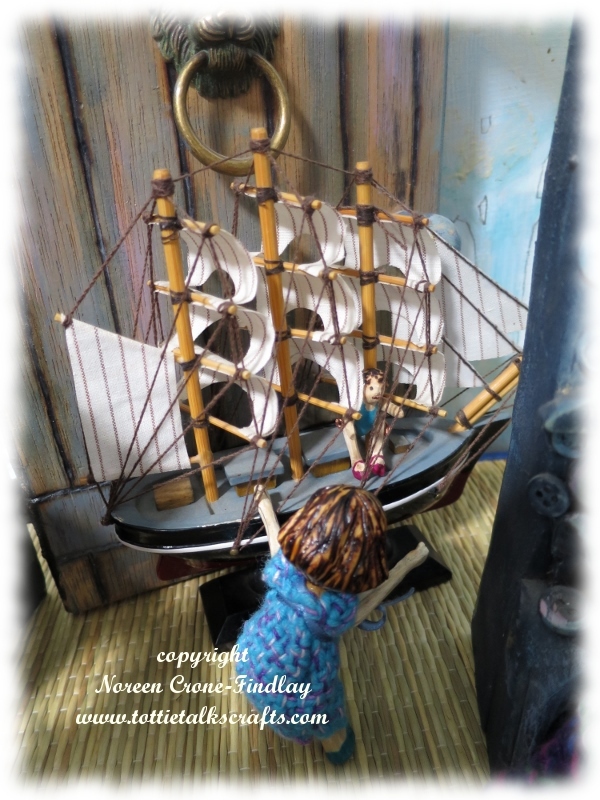 onto the tall ship that had lead Miranda to the Story Door. 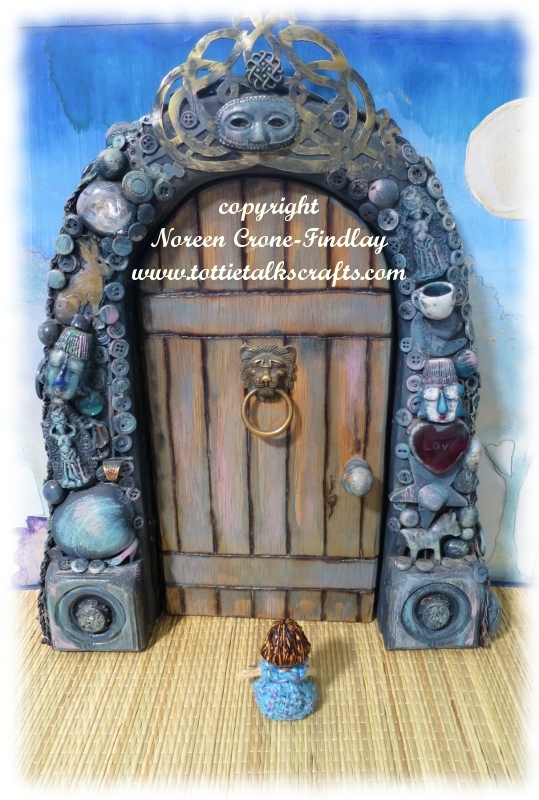 Coco saw that it was starting to move away through the Story Door…. Even though she shouted at Itty to jump, JUMP! 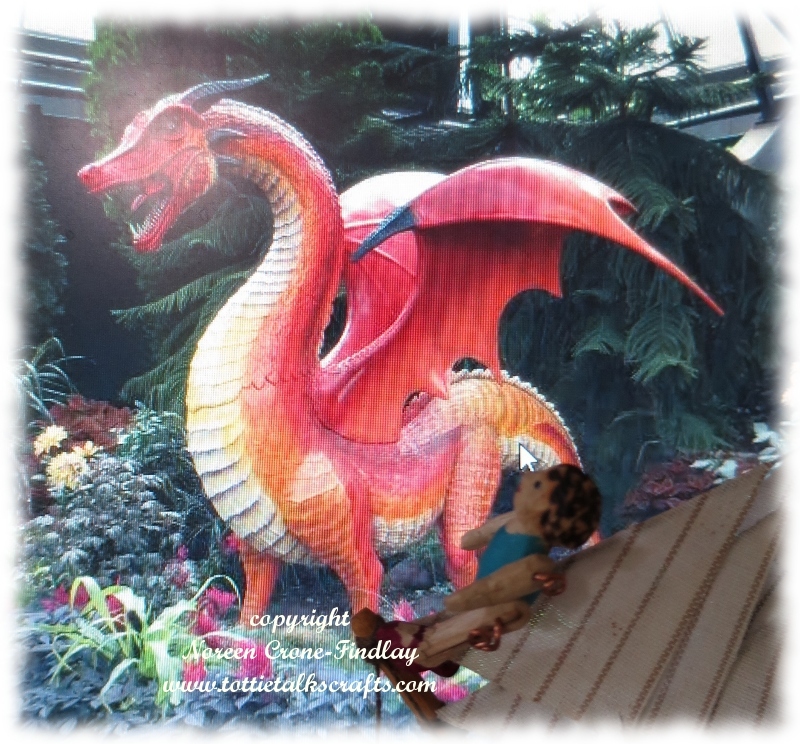 off the tall ship…. 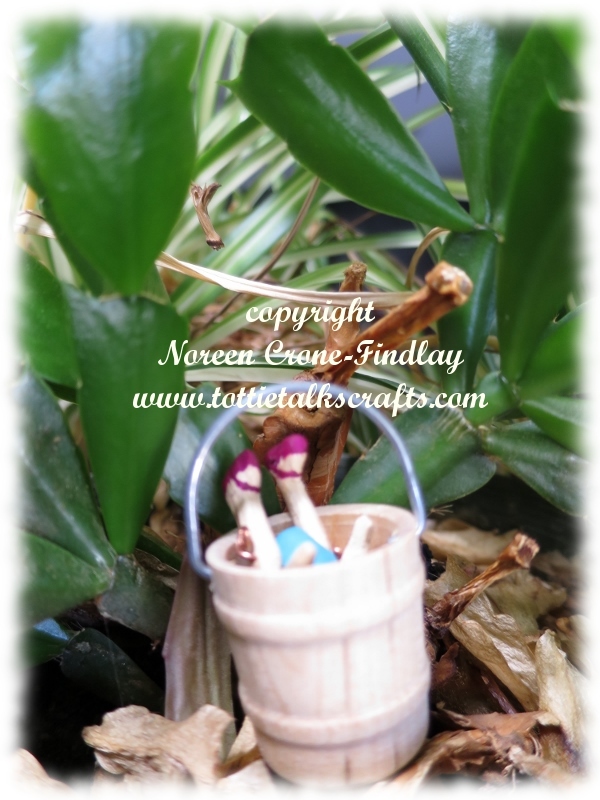 The Story Door dolls raced off to find Tottie Tomato to see if she could help. Coco was so sad that she just laid down on the ground and cried and cried. 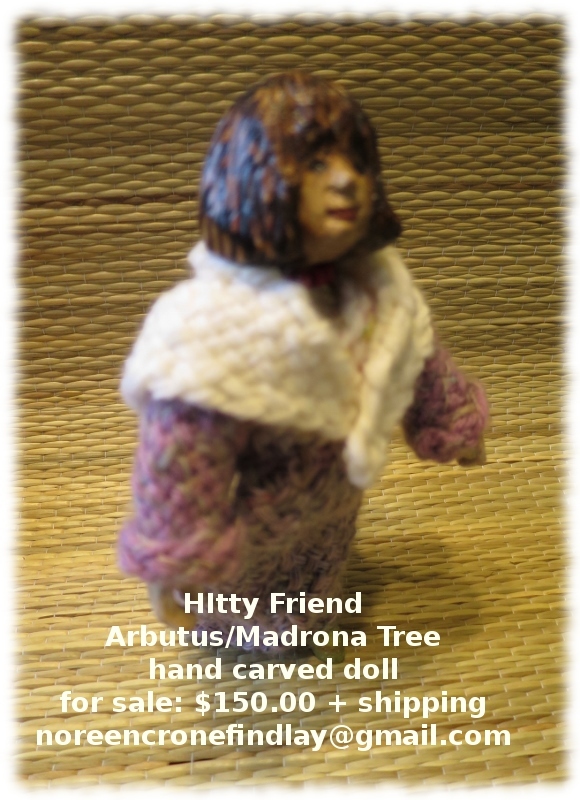 Tottie Tomato cuddled Coco and promised that she would go find Itty and bring her home again. Coco sniffed sadly and sat down to wait…. 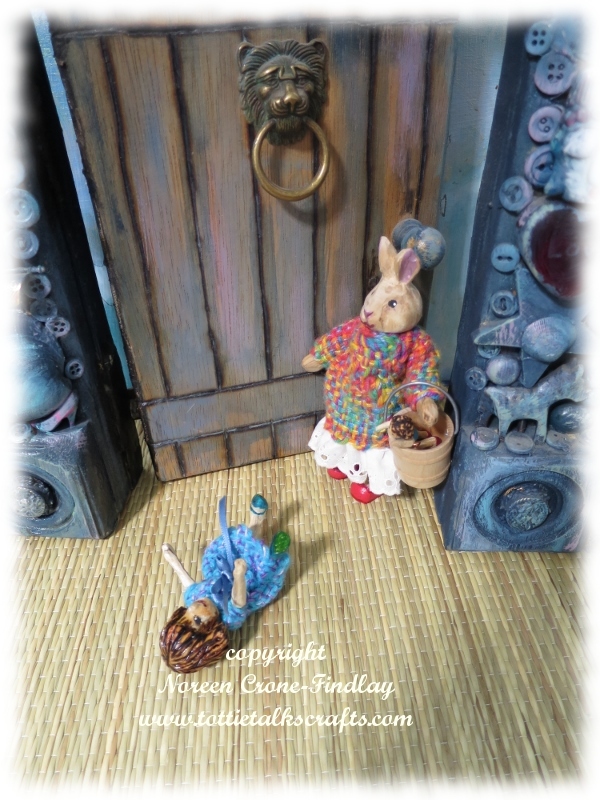 Itty Bitty Hitty was playing on the Story Door today. She has discovered that the Lion’s Head door knocker is perfect for practicing acrobatics. If she asks the Lion nicely, he is quite accommodating and will hold the ring ‘just so’. 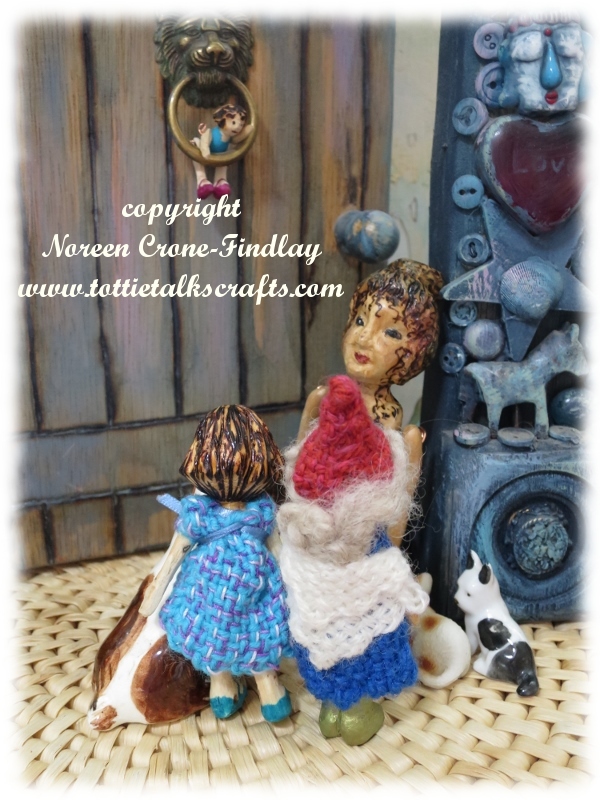 She heard a strange sound behind the story door, so she scampered back to the Wall Doll House, and asked Coco and Bessie if they would come investigate with her. 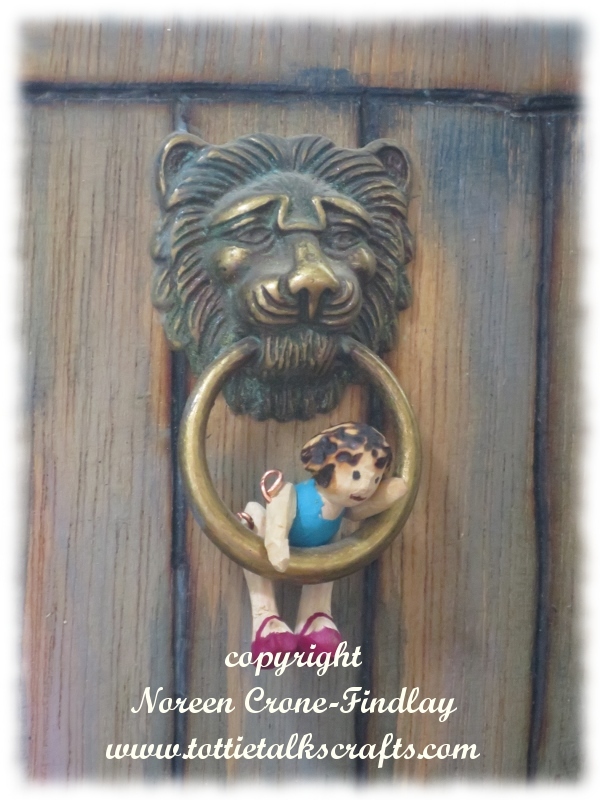 Itty Bitty Hitty scrambled back up the door to the Lion’s head, to see if she could hear the odd sound again. 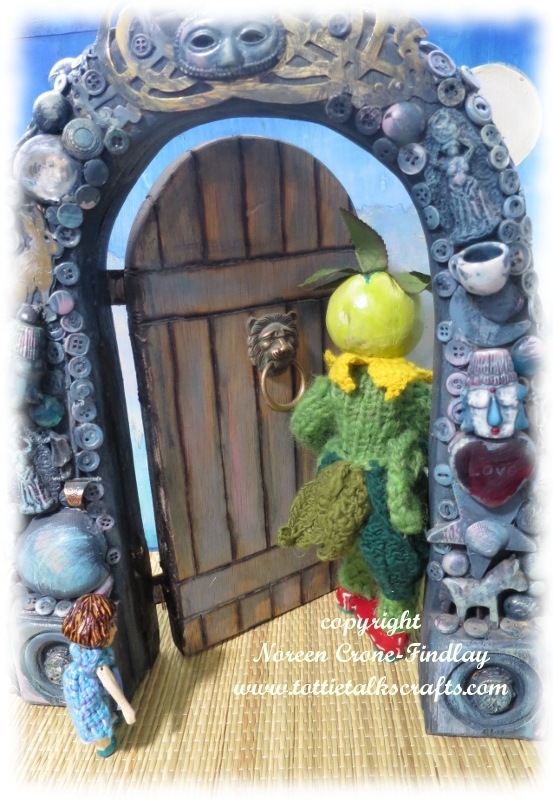 She was surprised when the Story Door creaked on it’s hinges and then, it opened, and a lovely lady appeared…. 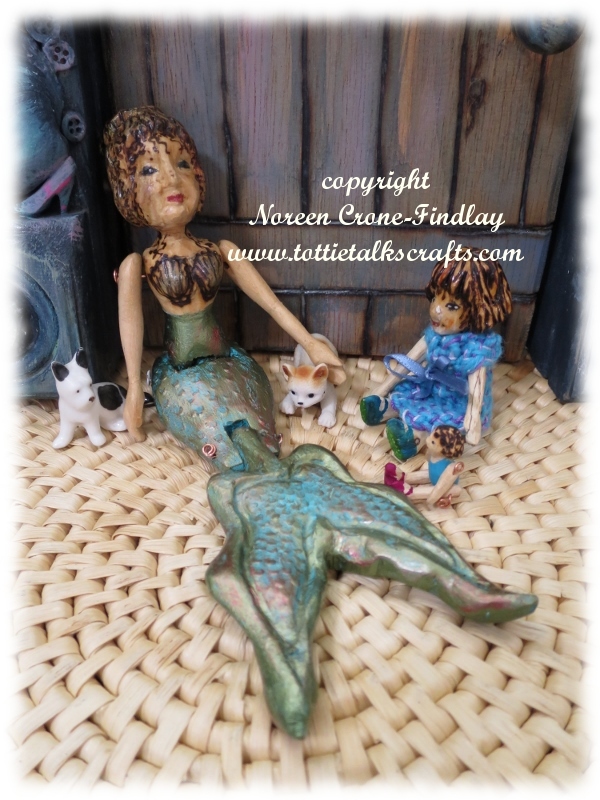 Bessie and Coco were so excited that they raced back to the Wall Doll House to see if anyone else would like to meet the beautiful mermaid. Coco and Itty Bitty Hitty introduced themselves, and so did Miranda. 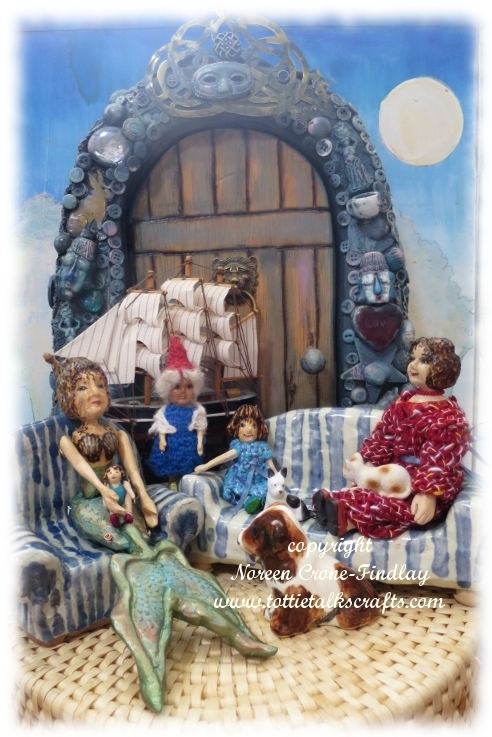 Hitty Tennie and Bessie Gnome brought some comfie couches from the Wall Doll House, as they were sure that there would be stories told at the Story Door. 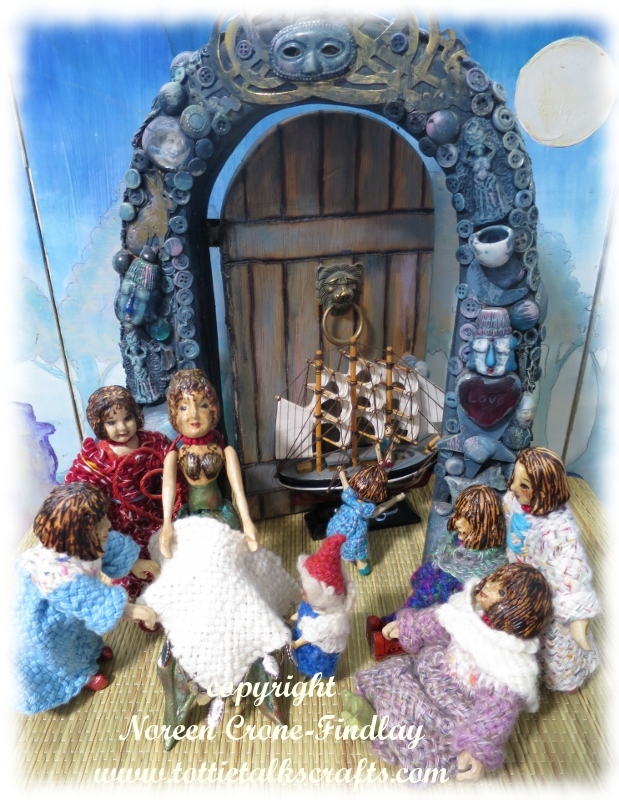 Sure enough, just as everyone settled in to hear Miranda’s story, a little ship floated through the Story Door. 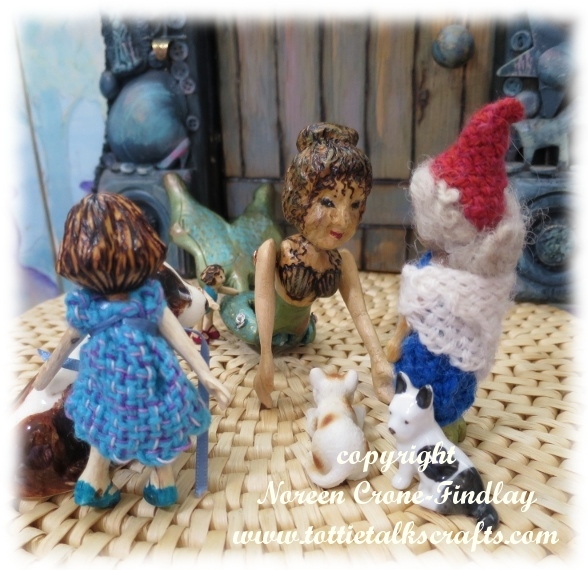 Miranda told her new friends that she had been frolicking in the waves. 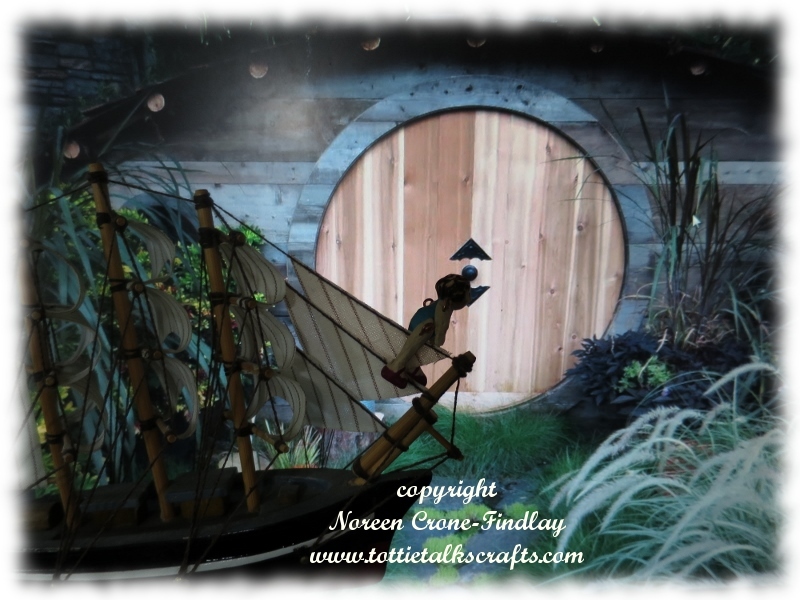 Suddenly a the tiny ship sailed past her and zoomed towards something that looked like the opening to a cave. 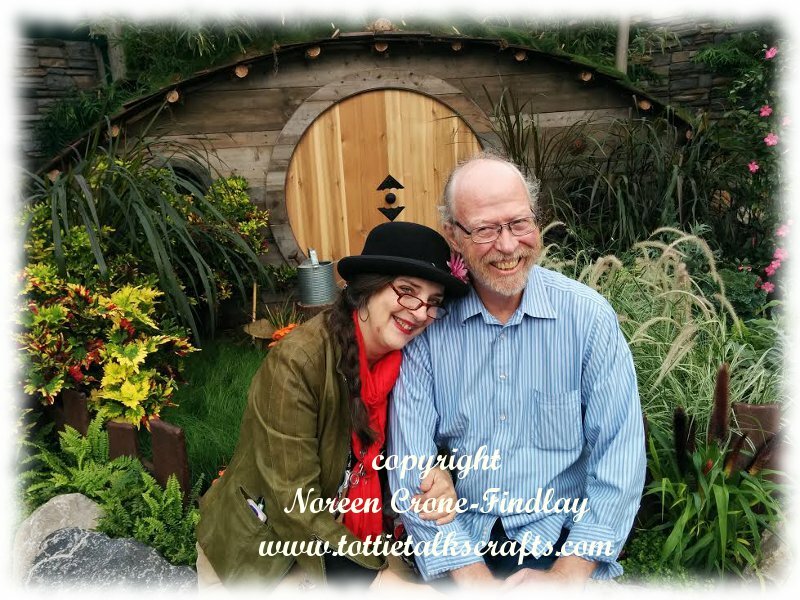 It wasn’t a cave…. 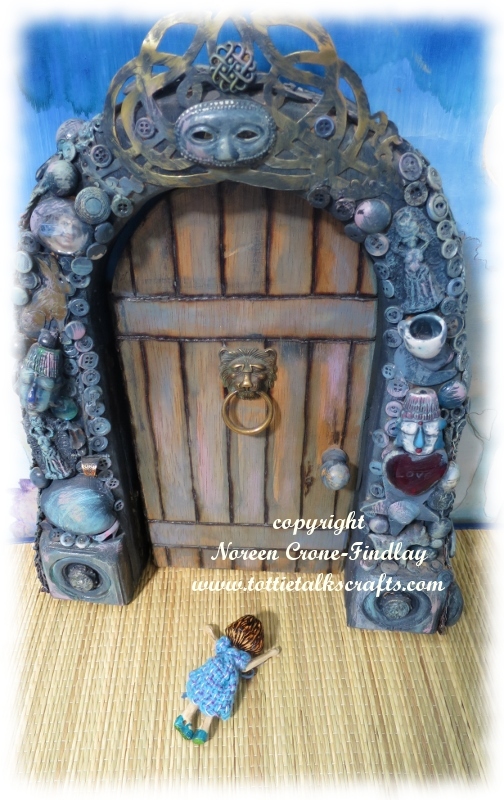 it was the ‘other side’ of the Story Door! 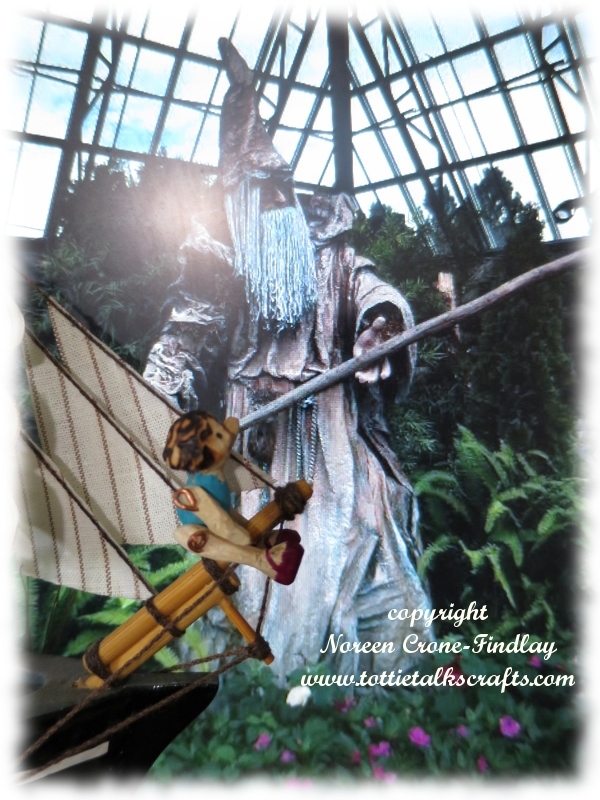 Everyone ‘oooohed’ and ‘ahhhed’ at Miranda’s adventure…..
Tottie Tomato popped by to meet Miranda and see the magical little sailing ship. 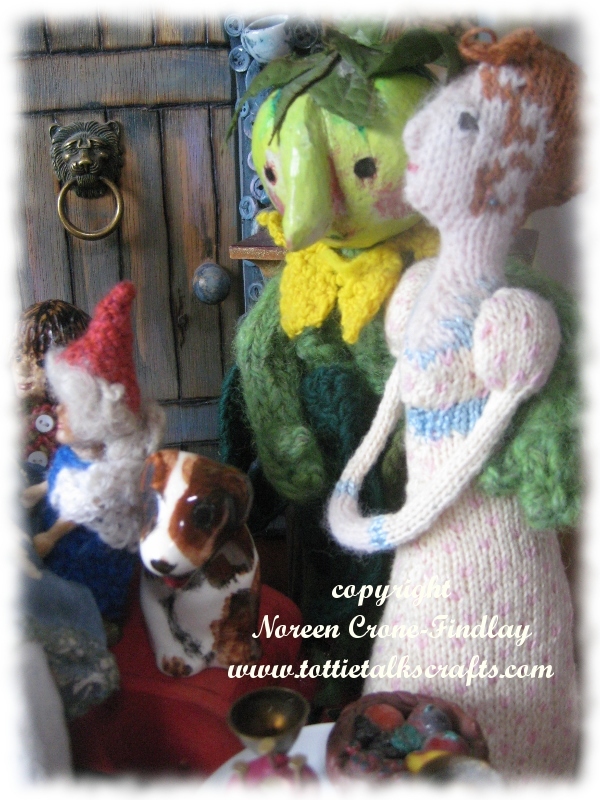 Tottie, Coco and Bessie were so enchanted by Miranda’s stories that they didn’t notice that…. 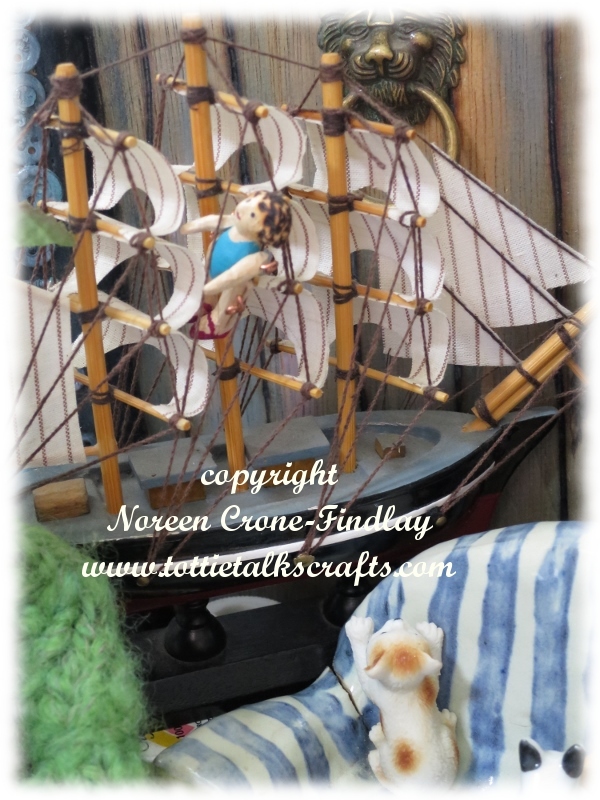 Itty Bitty Hitty had climbed up into the rigging of the tiny ship…. Only Kitty saw, but no one paid attention to her ‘miaows’. 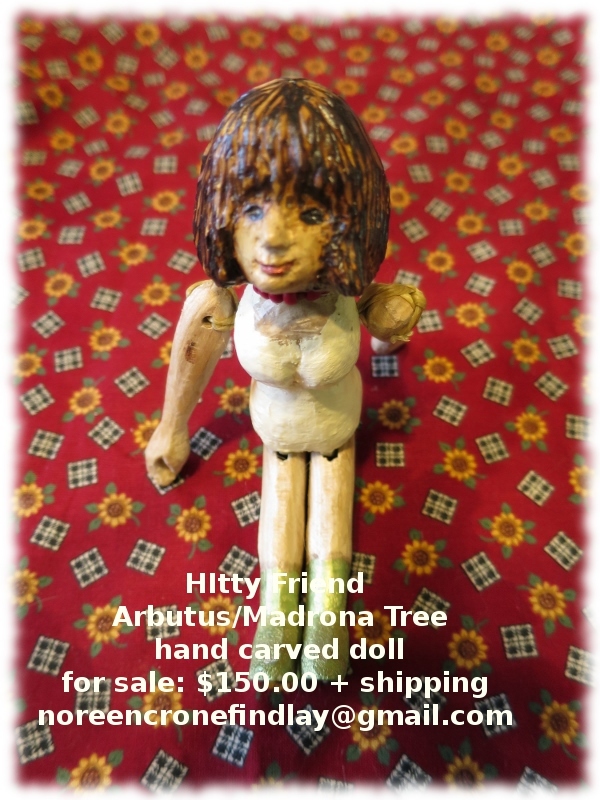 Hopefully, Itty Bitty Hitty will get down off the mast before the tiny sailing ship sails away through the Story Door…..
Fleur, a wooden doll that I carved many decades ago, had an uncomfortable situation arise during our move- her foot went awol and had it’s own adventures. Luckily, it re-appeared and is now firmly re-attached to Fleur. 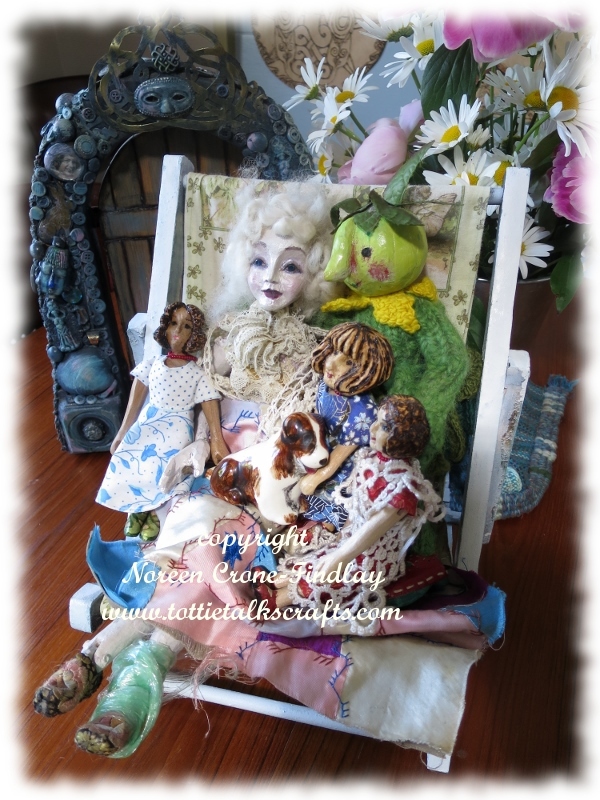 Fleur was so happy to be re-united with her foot that she invited Tottie Tomato, Jane Austen, Albert Einstein and The Story Door Dolls all to come and sip a cup of tea with her. There was one small problem…. 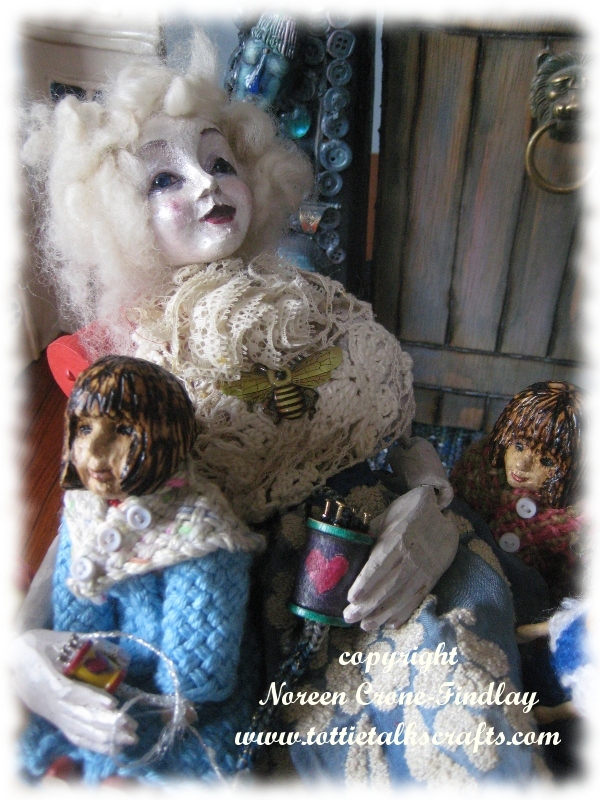 Most of the teacups have mysteriously vanished from the Story Door Doll’s antique wicker suitcase. 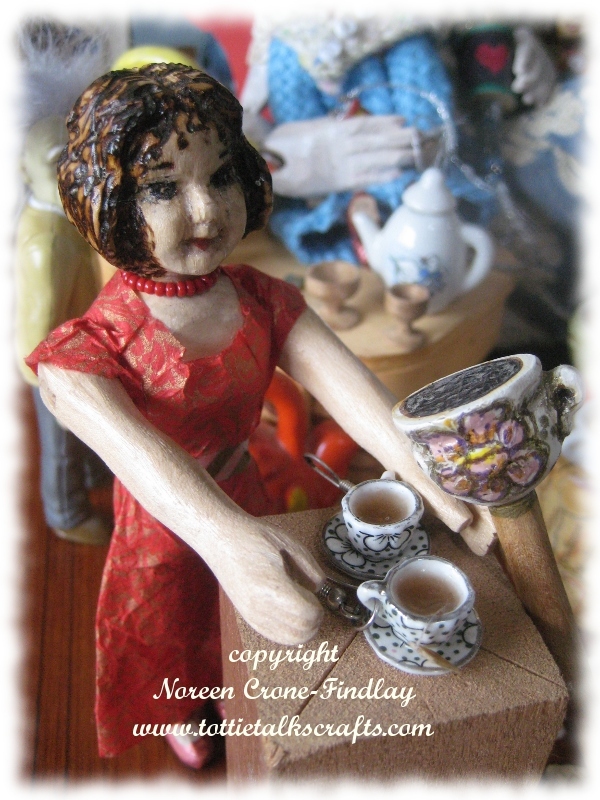 Luckily, the guests were very gracious about being served tea in thimbles and assorted other vessels. 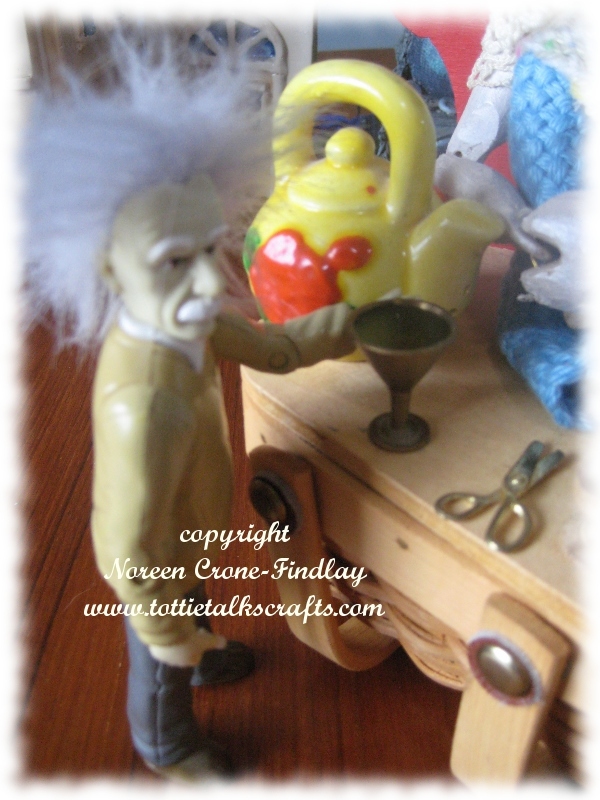 Professor Einstein was very accommodating about sipping his tea from a brass goblet, although he had to wait rather a long time for it to cool, as it was somewhat uncomfortably hot. Jane Austen whispered to Tottie Tomato that she thought that the unusual nature of the teaparty was fun, but was rather glad that she didn’t bring along her silly sisters. She also thought that Mr. Darcy would probably have not approved…. 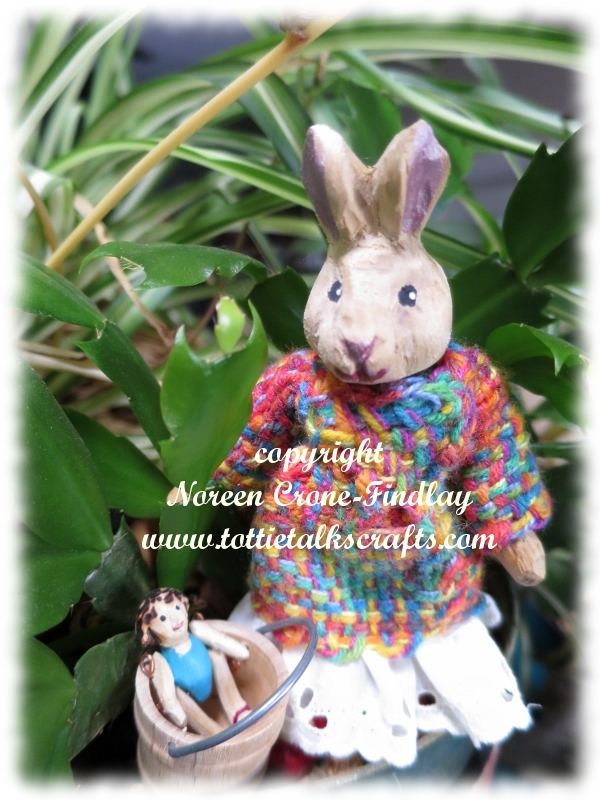 Tennie did her best to help out by bringing along my favorite teacup earrings and a teacup crochet hook that I carved many years ago. 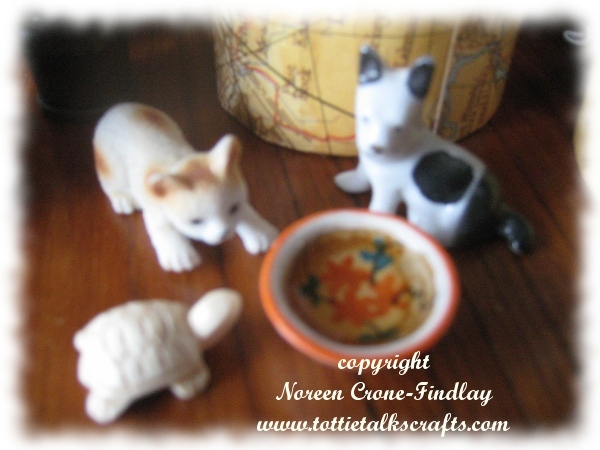 The Cat, puppy and turtle were happy to share a dish of tea. 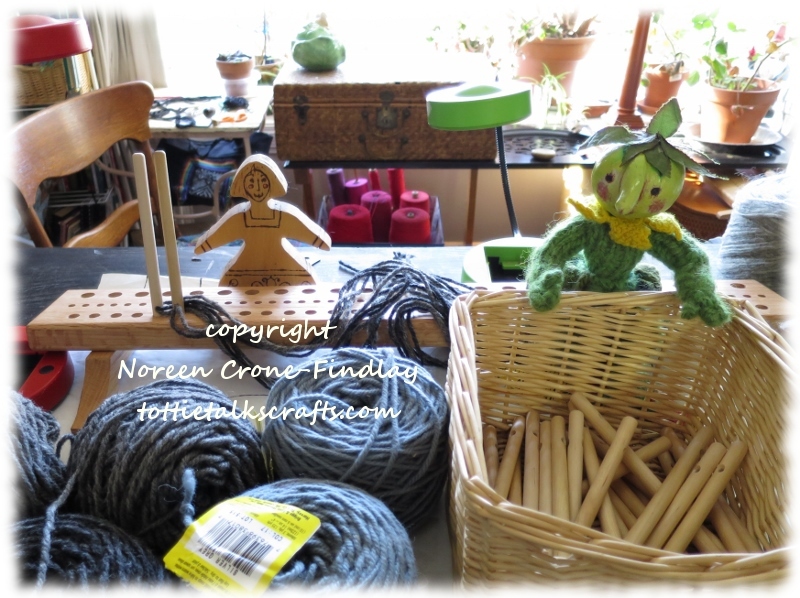 Fleur gave everyone a few lessons on her tiny spool knitters, but then, she laid back to simply bask in the pleasure of the company of her friends. The tea party was a success. Everyone agreed, even though the tea cups didn’t all make it to the party. Perhaps they will be found in some unexpected place. Moving. It is full of disruptions. Thank heavens for dear friends! Fleur did not make the move from our old house to the new one unscathed. 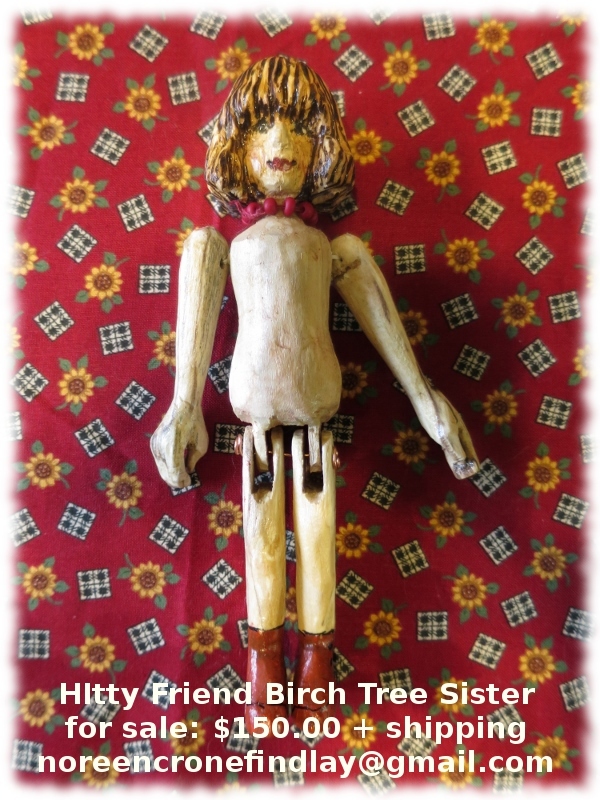 Fleur is a wooden lady of advanced years – I carved her more than 30 years ago, and she has some fragility about her nowadays. 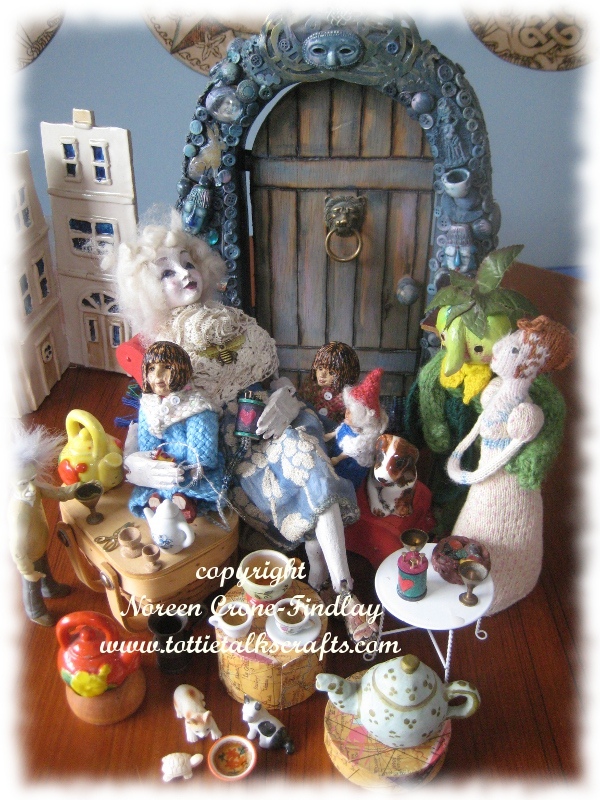 Tottie Tomato and the Story Door Dolls heard that Fleur and her foot had had a parting of the ways during the move, and so they were rather concerned. They came by to offer their wishes for a successful re-attachment…. Some glue, a little wrapping and a sincere apology on my part for packing her so badly, all seem to be helping. 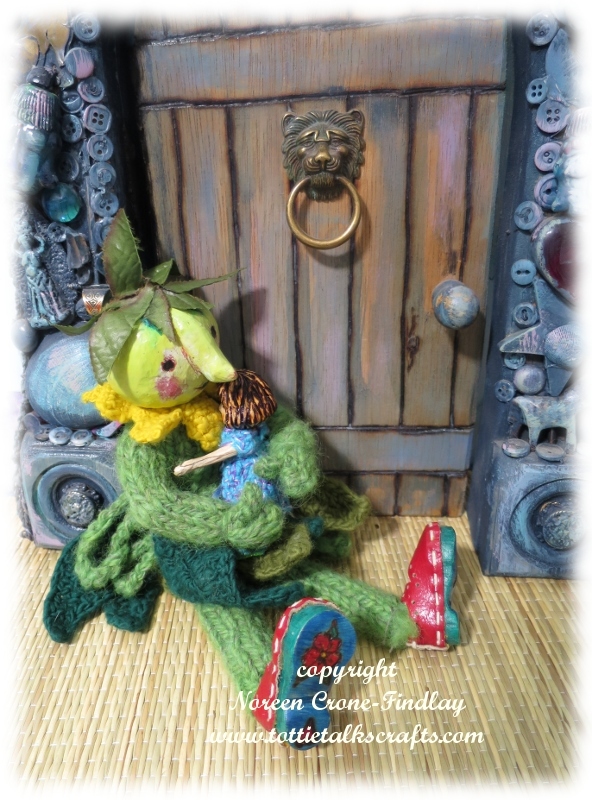 Clover Bee, the Story Door Doll that is on the left hand side of the first picture also came to say farewell to Fleur, as she was about to head off to her new home just after Fleur’s fancy footwork. 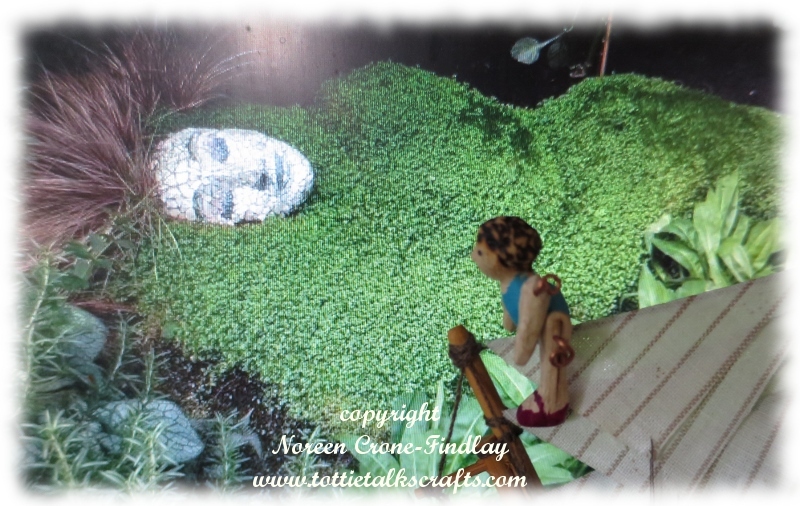 Tottie Tomato and the Story Door Dolls didn’t stay long, as Fleur needed to rest and allow the glue to work it’s magic.